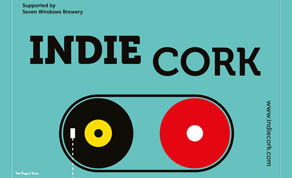 The sixth IndieCork Festival of independent film and music will take place October 7th-14th, 2018. The event drew record entries this year reflecting the depth of filmmaking talent in Ireland and the international standing of the festival. Now in its sixth year, this year’s festival has a wealth of talent on display including the Irish premieres of many new international features. These include the Opening Night film, ‘Smuggling Hendrix’, which won the Best Feature Film award at the Tribeca Film Festival and the Closing Night film; the warm-hearted Italian feature, ‘Daughter of Mine’. IndieCork is a platform for new and emerging Irish talent – with a record number of shorts screening at this year’s festival. From the World Shorts, to the Irish Shorts and Creative Cork and Horror programmes, short film is high on the agenda. Dalí club (the beautiful old Pavilion cinema) in the heart of the city centre, will be the location for the Blacknight Festival Centre, the venue for music events, socialising, workshops, talks and screenings. Each year Blacknight sponsors this important facet of the festival. Budding filmmakers will be invited to take part in a series of Masterclasses from renowned feature director Rebecca Daly (‘Mammal’, ‘Good Favour’) and music video director, Brendan Canty (Hozier’s ‘Take Me to Church’). This year, IndieCork introduces an award for the Best Emerging Female Irish Director, in the light of the gender imbalance (only 15% of Irish films submitted being directed by women). “We’re very pleased with the richness of this year’s programme – across all sections. I’m particularly excited to present new creative Irish documentaries which I believe represent a new trend in Irish filmmaking. We feel it’s the strongest year yet for our World Features, and of course, there’s great excitement amongst the Cork filmmaking community to see their work screened at the Gate Cinema”. IndieCork has also been on a mission to bring the festival to other parts of Cork, with a successful Cork County tour organised on Culture Night in In the Gate Cinema Mallow. From there, the short film tour travelled to five further venues in Midleton, Cobh, Bantry, Skibbereen and Youghal, and was support by the Cork County Council Arts Office.